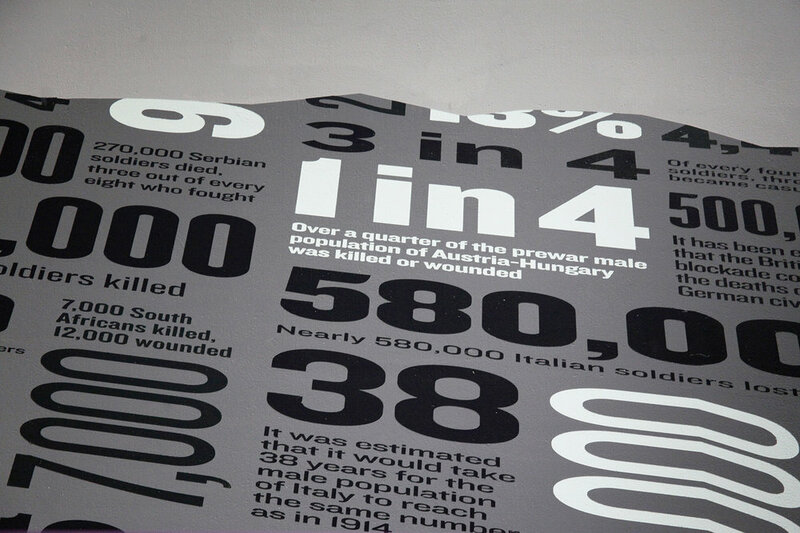 As part of the refurbishment of the First World War Galleries at Nick Bell Design, Margot Lombaert designed an infographic displaying statistics about the cost of the First World War. British statistics are placed in the centre while statistics from the British colonies wrap around them. The layout is inspired by the accidented landscape of battlefields.